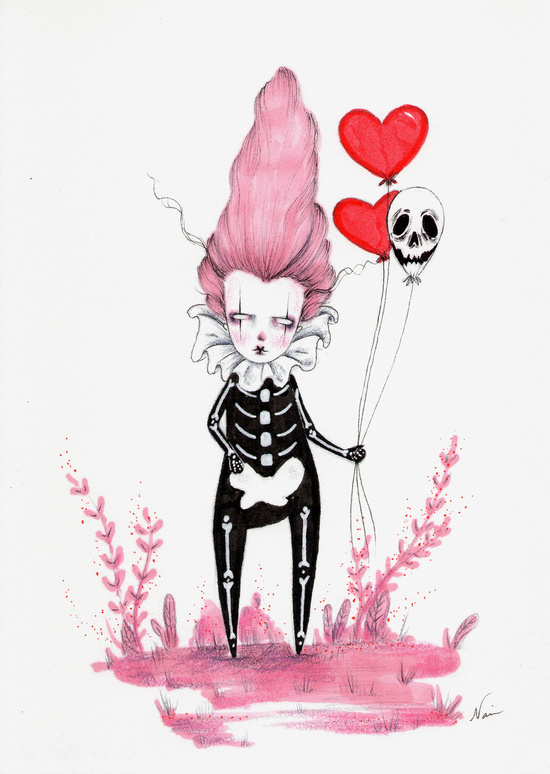 This week’s pick is illustrator Naisa or DarkTownSally, she sells originals, stickers and prints of her work. She made a bunch of aceos for this past Valentine’s Day that I fell in love with so I finally made the leap to picked up some of her work after almost a year of following her art. I picked up two of the Valentine’s Day aceos that I just couldn’t resist for my ‘Treat Yourself’ Valentine’s Day present and she included 3 stickers with them as well as a cute card. The hand drawn sticker is my favourite and I can’t wait to find tiny frames for the illustrations. She has a Storenvy (which is closed at the moment but you can still buying directly from her on Instagram) and she just started selling prints on Society6. Check her out!